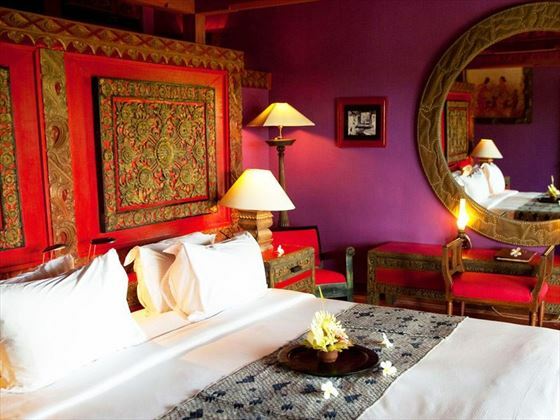 Owned by a collector and curator of fine Balinese art and antiques, the Tugu hotels were designed as a perfect showcase to share his wondrous treasure with the world (Tugu translates as ‘Monument’). 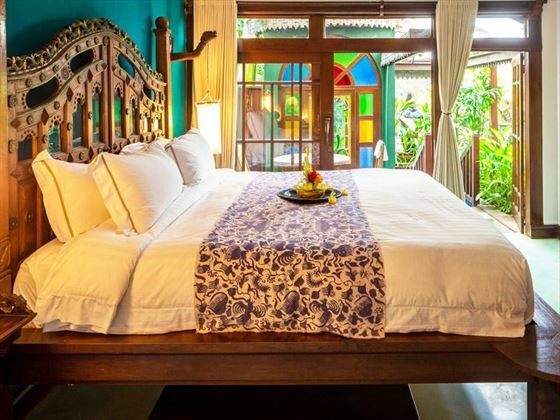 Not only does Hotel Tugu artfully connect today’s traveller with the island’s history through its décor but offers a unique selection of cultural experiences to its guests. 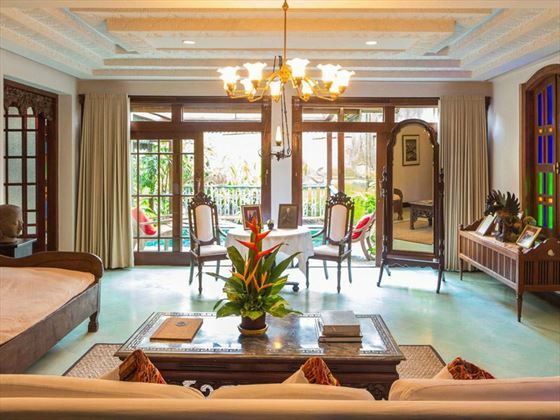 You will be welcomed with a refreshing drink and a mini-massage and treated to a lavish breakfast daily which you can take anywhere in the property that takes your fancy. 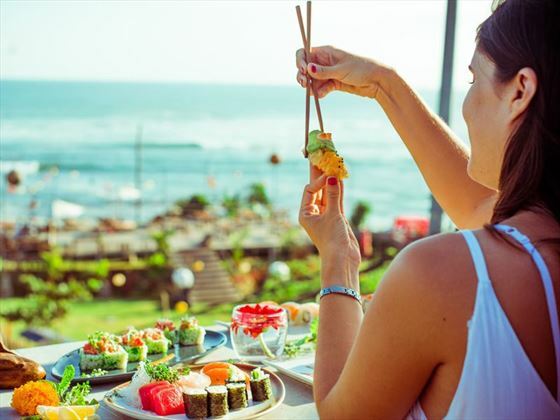 After a hard day strolling the beachfront, trying your hand at surfing or relaxing by the pool, complimentary high tea is served as a pick me up before your choice of truly exquisite Asian cuisine for dinner. Try ancient remedies in the spa, and on Thursday evening partake in an intimate and authentic cultural performance. There are five different types of Balinese dance that you can learn here, plus hidden museums to visit, treks by foot or horse drawn carriage into the paddy fields as well as cooking classes and market trips. Nothing is too much trouble for guests at Tugu. 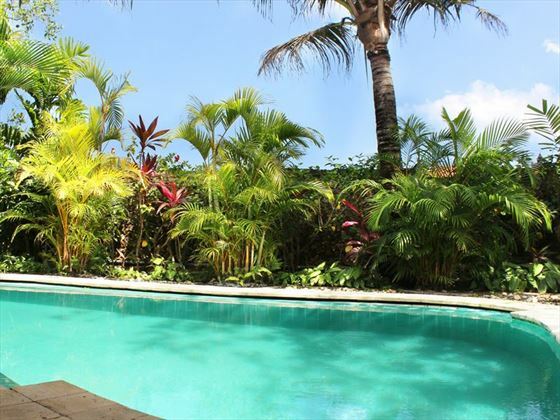 Canggu is a newly emerging resort area led by pioneering surfers seeking a more peaceful alternative to nearby Kuta. 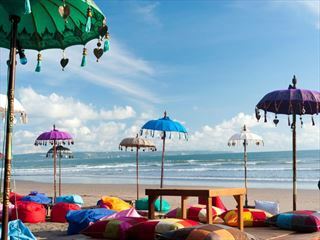 Just a short stroll from Hotel Tugu is Echo Beach with rustic surf bars and restaurants and a massage parlour. Transfer time from the airport is around 45 minutes by road. 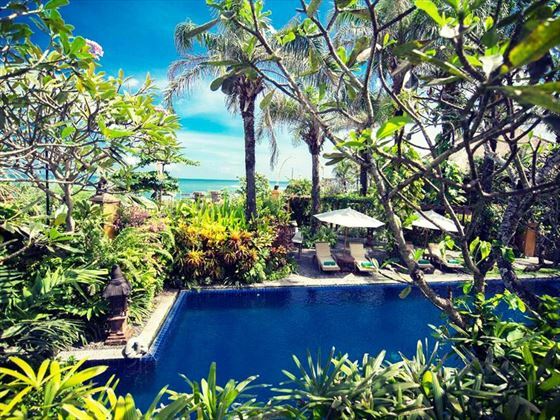 All Individually designed with authentic Balinese art and antiques with modern comforts such as flat screen TV, DVD player, complimentary internet and a minibar. 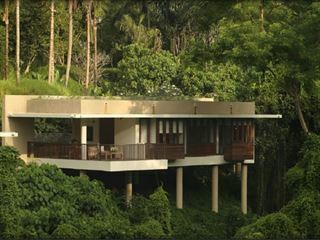 All rooms sleep maximum 2 adults and 1 child (except Kampung Suite). 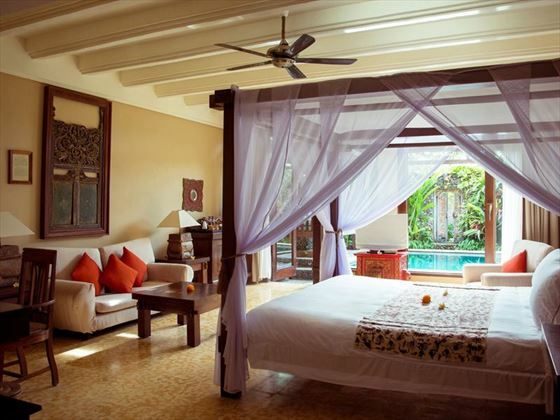 Dedari Suites – 9 suites with plunge pool, outdoor bathroom and wonderful four poster king-size beds that are located closest to the beach. 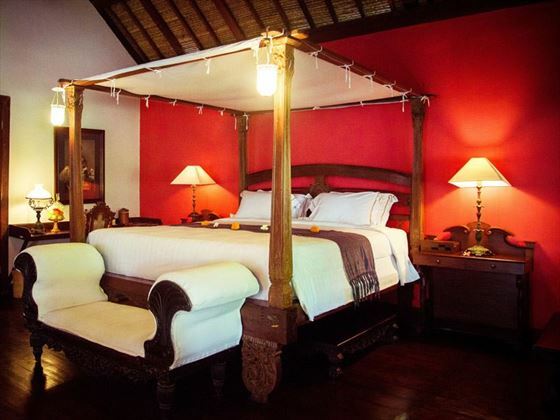 Rejang Suites – 9 suites on the upper floors of the traditional thatched timber house with dark hardwoods, carved four poster bed, ensuite spa treatment space and artisan crafted bathrooms. 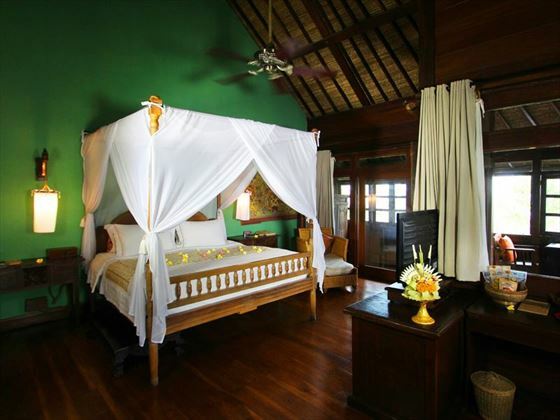 Kampung Suite – this is a 2 bedroom suite that encompasses the entire upper floor of the villa with a king size bed in the main bedroom and twin beds in the second bedroom. There is also a sunken bathtub, private spa area and a balcony. Walter Spies Pavilion –this spacious suite has an elegant colonial style early 20th century feel and was built for romance – huge four-poster bed, private plunge pool and a secret outdoor bathtub for two. Puri Le Mayeur – for special occasions, this floating villa is stunning, with sunset views from the verandah behind the Indian Ocean. Private plunge pool, private outdoor dining and a large hand crafted copper tub for two make this a perfect honeymoon hideaway. Five restaurants on-site have an enviable reputation and provide a wealth of dining experiences without leaving the hotel, although there are more great options a short stroll away too. 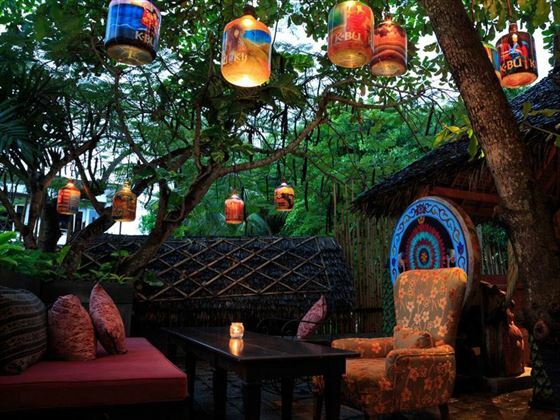 Waroeng Tugu is the more casual open-air Indonesian option. Wantilan Agung gives diners a Western option in a high ceilinged ballroom with an accompanying cocktail bar. 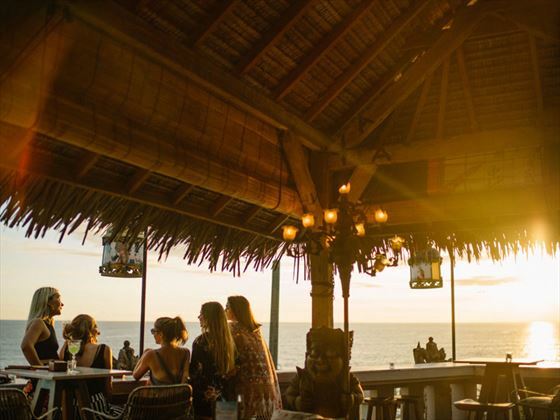 Sunset Beach is the beachfront choice with full-moon barbeques. Bale Puputan is Balinese in style and is where you should try the rijstaffel, a Dutch-Indonesian 12 course feast. Ji is the opulent Japanese restaurant that is actually a reconstructed temple and is a must-see dining destination. 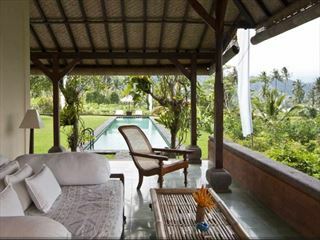 Hotel Tugu enjoys its own access to the beach (through a small field) where there are lounge chairs for guests. There is a private pool in the grounds with plenty of loungers and shade to while away the afternoon. 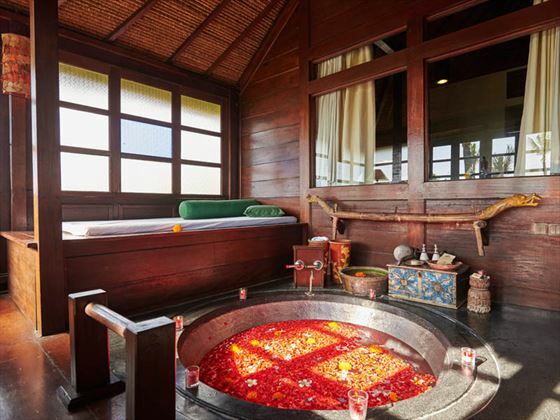 An exceptional spa experience in keeping with the hotel’s emphasis on celebrating Balinese traditions. Expect a truly enlightening and invigorating experience when you treat yourself in one of the many Spa locations hidden around the property. From peaceful earthy landscapes to a dazzling modern mega city; Experience the vivid culture clashes of the Far East’s most sought-after destinations, this contrasting twin centre offers an unbeatable insight into the two sides of South East Asia. Set amongst Bali's Ayunge River Valley, Alila Ubud offers a secluded retreat full of romance, seasonal foods, wonderful vistas, and a laidback ambience. Inspired by its surroundings of soaring mountains and sparkling ocean in Candidasa, Alila Manggis offers a laidback vibe close-by to the seaside town's plethora of restaurants and shops.